Parents, foster parents and parent educators: This one is for you! Parenting can be delightful, difficult, funny, heart-breaking and enormously rewarding. It may be the very best—and the most challenging—thing you have ever done. If you are very fortunate, the highs and lows are interspersed with precious glimpses of what an incredible privilege being a parent is. 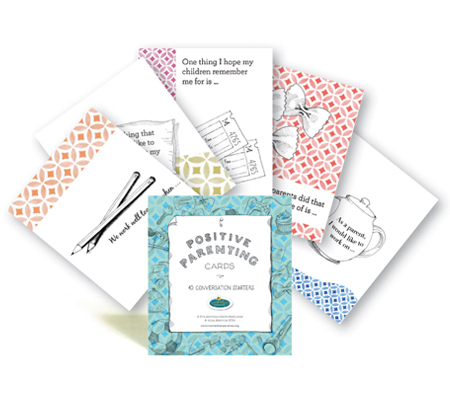 The Positive Parenting cards will be a wonderful tool for opening up conversations and storytelling with parents about their experiences, struggles, ideas, and hopes for their children and for themselves as parents. 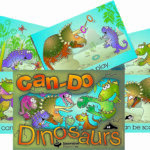 We hope that this set of cards will be at home around the kitchen table, in meetings, in parenting workshops, out-of-home care reviews and in any family skill building event, no matter how diverse the make-up and style of families may be. 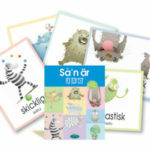 A digital version of this product is now available. For more information click here.